Amazon shoppers are getting a convenient new way to deal with unwanted items. Beginning in October, you can return Amazon unpackaged products purchased online to 82 Kohl's locations in Los Angeles and Chicago. You can bring in that Bluetooth-enabled fidget spinner (as long as it's an "eligible item") and Kohl's will package it and ship it back to Amazon for free. There will even be designated parking spots for customers who are returning Amazon items. Kohl's is hoping the returns bring in new customers who might buy something while they're in the store. 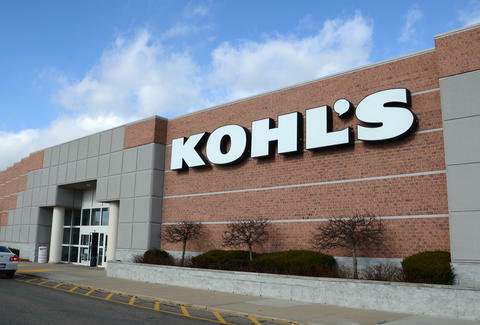 "This is a great example of how Kohl’s and Amazon are leveraging each other's strengths," said Kohl's Chief Administrative Officer Richard Schepp, "the power of Kohl’s store portfolio and omnichannel capabilities combined with the power of Amazon’s reach and loyal customer base." These are in addition to reports in late August that Whole Foods, which Amazon took over in August, will allow in-store pickup and returns of Amazon purchases. Between Kohl's, Whole Foods, and Amazon Lockers, there are a lot of ways to pick up and return items, making Amazon seem less and less like an online-only store. This Kohl's announcement comes after Kohl's announced earlier this month that stores in Los Angeles and Chicago would get mini Amazon stores inside Kohl's locations. The stores-within-a-store will focus on Amazon's "devices, accessories and smart home devices." There was no announcement about plans to expand beyond Los Angeles and Chicago, but if the last few months have taught us anything, it should be that Amazon is always expanding like a digital Violet Beauregarde.